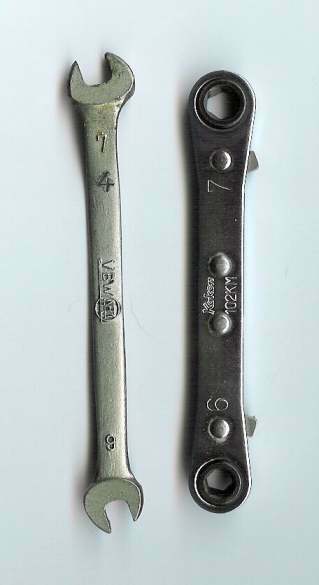 In the G-Model 463 the plastic inner fender are screwed through small metal brackets, those tend to rust. It is strongly recommended to replace them with 1 mm V2A metal brackets (V2A is the german trade name for stainless steel). The home made construction is not really difficult, but little tools and a vertical drill machine a required. Metal plate scrap, you can always find (sometimes for free) from dealers, or metal plate smiths, or bigger Workshops. Basically today everyone works with V2A metal plate. 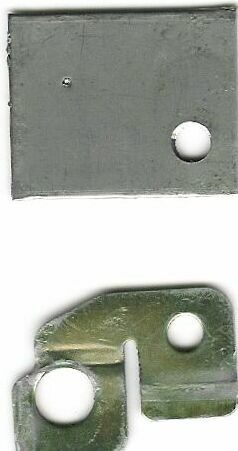 With a lever scissor you have to cut small 40 x 30 mm rectangles (with a good hand metal scissor too n.o.T.) or you can let them cut from the smith of in the workshop as well. You'll need, all together, 16 plates, for each side, 3 pieces front, and 5 back. Carefully file all the edges with a medium file, or on a band grinder. 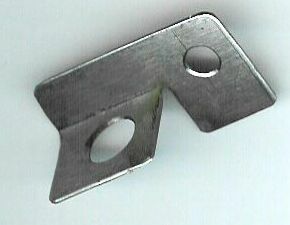 An original disassembled bracket should be hammered flat, and used as model. (New parts have the MB part No. A4638812014). With the help of a chisel (centre punch) the 6 mm and the 10 mm holes will be marked, and afterwards drilled. 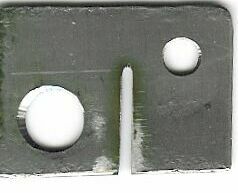 With a metal saw or an electric grinder (Flex) you cut the slot in the plate. Now the plate is ready to be bent. To bend it, I suggest using two square-profiled-metal profiles (iron is enough) in order to get a neat edge. 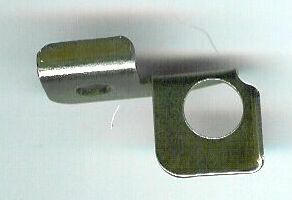 Now if you like, (but it is not needed) you can to shorten the loop by the 6 mm hole . In the big hole, the plug must be inserted. Use the old one only when it is still in good condition. For old Gs you should take new one (MB-Nr A4609940145). In order to assemble the inner fender, I prefered the Phillips screws (+), because they are quicker to screw instead of the hexagonal one. 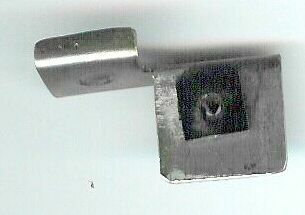 Lens metal plate screws half round head Nr. 7981/A2 4,2x16. 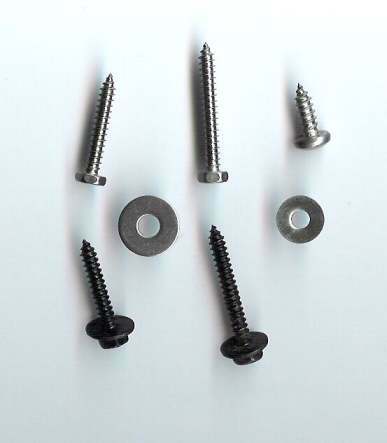 The actual prices without VAT for the rust threaded angles don't let you any chance than: do it yourself in V2A! 1 bracket Euro 1,83, 1 plug Euro 0,67: total 2,5 Euro and with VAT Euro 2,90 For me, such a braket took 10 minutes working time (but I have gad good equipment). You can also try to get the brackets punched by a supplier, but this is rather expensive, and it doesn't make fun at all. I wish you lot of fun!! !